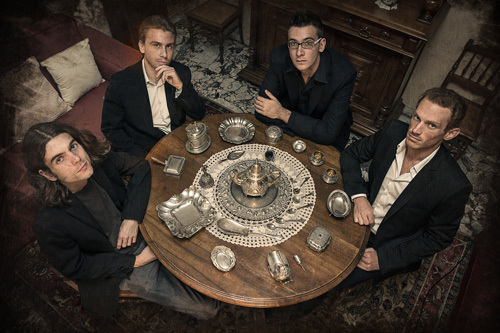 On the success of their EP, Reflections, Italy's Cyrax returns with their first full-length album, Pictures. First impressions can sometimes be tricky and perhaps set aside for additional listens. But what can be said at the start is that Pictures offers some rather interesting progressive metal from some very talented and inventive fellows. While the "heavy metal" is apparent, it's not the first thing you might notice in Cyrax's musical equation. Notable is the extensive and varied use of keyboards, from quirky and innovative synths to the significant piano presence. Both can be found in the song Cyrax, which expresses the band's raison d'etre. However, the keyboard solo in the first half sounds like ducks farting underwater. The piano often adds a subtle even delicate nuance to a largely heavier number as in the later third of Shine Through Darkness Part I. Then at the start of Part II, the synths turn to the sound of harpsichord. If you're piano and synth fan, Larsen Premoli will give you a large and entertaining lesson in their creative use. A second thing of interest is the large use of classical music elements in nearly every song. I'm not talking about the huge use of keys to create some bombastic symphonic canvas (like Rhapsody of Fire, for instance). Cyrax uses both violin and cello, along with some choral vocals and piano, to steal lines traditional classical music. A superb example is These Greenvalleys where the strings are pronounced and female lead vocals stirring. The 7th Seal does much the same with piano line and choir vocals in the center of the song. Speaking more specifically to the vocals, the male lead vocalist Marco Cantoni quite the vocal wild card. His voice and sound is all over the place, screeching to screamo, cranky to gruff. It was hard to find him all that enjoyable. Alternatively, but also including many of the aforementioned aspects, several songs definitely put the heavy metal into Cyrax's progressive metal. Oedipus Rex, even with a generally subtle start, moves with some strong riffs and stinging guitar (against some of that piano). The three part Shine Through Darkness also has some very meaty parts, notable in the third part. But this trilogy, like all the arrangements, are diverse and varied showing the depth of Cyrax's creativity. Perhaps the best example of this might be the final instrumental track Phunkrax. Like the name implies it has some kind of funk, rock, and jazz fusion thing going on between the riffs, rhythms, and keyboards. 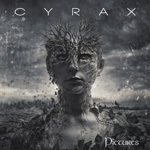 Cyrax and their Pictures is not your ordinary, nor predictable, progressive metal, especially with the depths of it's classical music influence. It's definitely an album that's worthy of your attention and time.